As we all know, Napa Valley flourishes with perfumed rows of vineyards and colorful, bubbly evenings. However, when one moves away from the classic and beloved wine scene, an individual can find themselves drifting into the creative heart of wine country. Here is your guide to the Napa art scene’s hidden gems, galleries, and must-sees that tourists and locals equally enjoy. Get ready to satiate your sense of wonder when diving into an endearing art world. Forewarning, it’s beautiful over the grassy hills, quiet lakes, and sunsets peeking over the wine glass. Do you enjoy being in front of the camera or behind it? “The Art of Seeing” is a delightful and inspiring three to six hour photography adventure and tutorial with Lowell Downey and Janna Waldinger, the founders and photography masterminds of Art & Clarity. Whether you’re a rookie with the lenses, or a veteran of capturing life’s greatest moments – every individual is welcome to join! If you happen to be short of a camera, your phone would be just fine too. Additionally, you may even request that Lowell and Janna take your photographs as you explore! What’s special about “The Art of Seeing” is the fact that it is completely customizable for each client. Your itinerary will be an unforgettable one – and that’s a promise. After snapping silly smiles and candid laughs, the activity ends with a wine-tasting and an art book to cherish forever. “Art matters” is the philosophy of Gordon Huether, as well as the many artists before and after him. His large-scale works are full of intricate dimensions and architectures that are not only beautiful to look at – they tell a beautiful story too. He is most regarded for glass design, use of steel, and repurposing what can be salvaged. When has a phenomenal-looking building or landscape caused you stop dead in your tracks and wonder how it was created? If you can name that moment, art has served its purpose by hypnotizing its beholder, and making them connect with the piece on a personal level. That is the belief and soul Huether weaves into his work. Napa is home to the studio of this passionate artist who dedicates his time into leaving an unforgettable impact on this world and its people. You can find Huether’s pieces across the United States, especially his most recent installations in The Salt Lake City International Airport. In Napa, you have access to his intimate and surreal studio where you can watch his hands and mind at work, awe at the display replicas of his installations – wishing you saw it in its true, gargantuan form – and perhaps say hello to Mr. Huether himself. We can’t forget the “Best Art Experience in Napa Valley”! Jessel Gallery has made its way into hearts since 1984, with its quaint location and relaxing atmosphere – the environment makes you slow down to appreciate the art and flowers. Filled with a diversity of art mediums – such as paintings, sculptures, knitted clothing, and jewelry – the Jessel Gallery offers a wonderland of art. With an open space and endless hallways of creativity – who wouldn’t feel invited to immerse themselves in the peacefulness? Furthermore, the gallery even offers its guests classes and workshops so they can experience the joy of creating along with the artists! Honestly, what is better than taking a stroll through a public art street and sensational sceneries in downtown Napa Valley? Biannually, the Napa Art Walk features an array of sculptures and installations tempting the paths of curious on-goers. One truly delights the sights and senses with the creations of local and national artists. Perfect for all ages, the art walk is not only casually romantic, but family-friendly. Nested to the left of the Highway 29 is Jeff and Sally Manfredi’s pottery studio, Calistoga Pottery. From coffee mugs to bowls that serve heartwarming meals – you will always find the loving craftsmanship put into every article of pottery. Jeff and Sally are always at work in their studio, which is also open to the public. They can tell you all their pottery stories and even recommend you to places in the area. They love to chat! Fun fact for the road: Calistoga’s pottery is predominantly used in many of Napa’s wineries and restaurants, as well as its cottages and inns. Hear hear, one and all! Sit back and relax into your velvet seats. Here’s a toast to Napa’s feast for the ears and souls. Whether you enjoy plays, orchestras (such as Symphony Napa Valley), or live performances as a whole, the Performing Arts Center in the Lincoln Theater needs a place at the top of your to-visit list. Everyone can find their niche of entertainment, as well as enroll in a class to educate themselves on the arts and participate in the current programs offered! The center is also appreciated as being a place of solitude for art education and provider of art to the valley and its audiences. The Hess Collection Art Museum showcases a lifetime’s worth of art collections since 1966 by Donald Hess, the pioneer of the Hess Winery. Included in this this fine gallery are hand-selected pieces by Donald that are limited to only 20 artists that he has connected with personally to better understand their work and purpose. To this day, he still provides support to those same artists, some of who are lesser known from the mainstream media. Noticeably, each artwork hopes to establish a deep and emotional connection with its perceiver, making the Hess Collection a powerful and moving establishment to enjoy creative dialogue. It is impossible not to be inspired by nature to compose a story or epic poem. What makes the creative process more exciting is the fact you can share it with fellow wordsmiths every year at the Napa Valley Writer’s Conference! Whether you identify as a poet, a story-teller, or simply have a soft spot for the written word and literature – workshops, panels, readings, speakers, and meetings are waiting for your presence at Napa Valley College. 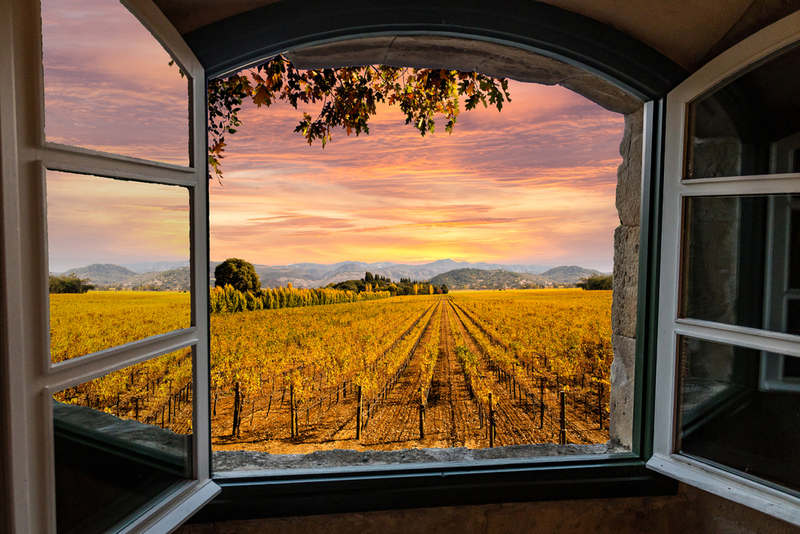 If you ever find yourself wandering into Yountville, prepare for an enriching historical experience of art and the classic culture that curates the soul of Napa Valley. Each week, the museum offers a new exhibition or special event – therefore, prepare yourself to experience the heritage of “wine country”. The art pieces in particular share a theme of appreciation towards not only art itself, but nature and history. Everything one wanted to know about Napa Valley comes full-circle in this wonderful museum. How does having a glass of wine while you stroll through sculpture installations sound? Fantastic, we’re sure! After exploring the museums, make a trip over to the Yountville Art Walk. Art tours are offered to guide you through more than over forty sculptures from artists handpicked by the town council. You can even inquire to display your own artwork for more than 2 million visitors – like the artists before you! Lastly, most of the pieces are available for sale. Not only can one support the artist, part of their contribution supports the direct cause of preserving the arts and community activities.